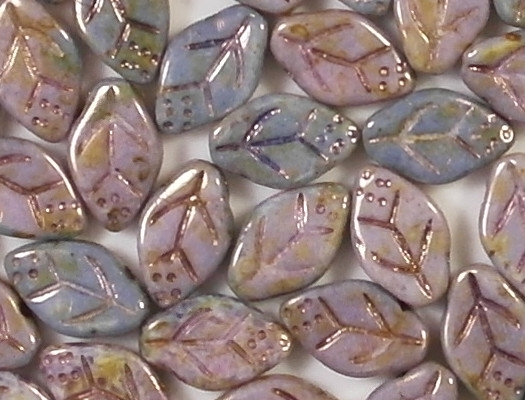 Size/shape: 12mm (long) x 8mm (wide) x 3.5mm (thick) leaf-shaped beads with embossed veins on each side. 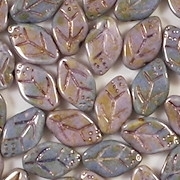 Colors/description: These beads are made of white glass with a mottled lavender and blue surface or coating. 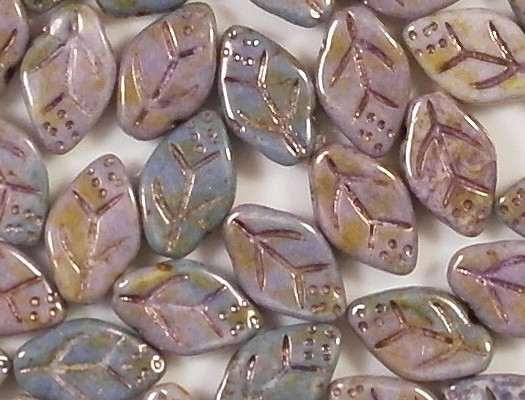 (The coating is glass and mineral-based, meaning that it is not synthetic.) 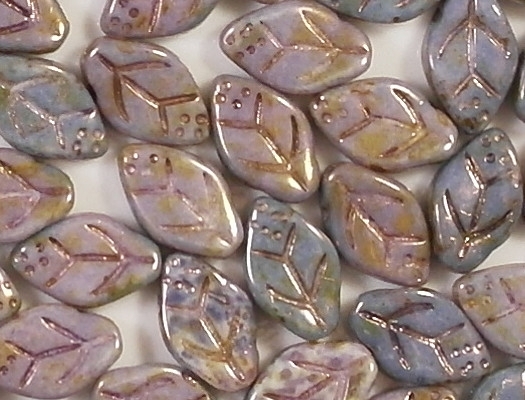 Some beads are more mottled than others. 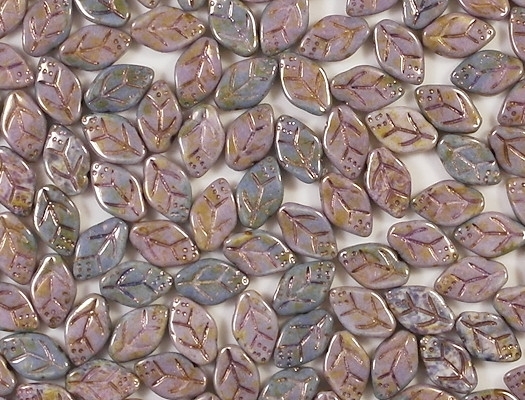 There is more lavender in the coating than blue, so the overall appearance is lavender. On top of it all is a topaz-luster coating that adds a very interesting effect -- I would call it a gold-luster coating, but it doesn't appear metallic. How photographed: Under two daylight-balanced lamps. 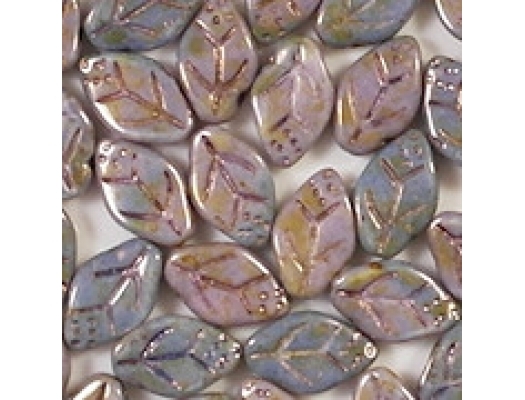 Comments: I got these beads from one of my expensive suppliers, so the price is very high. 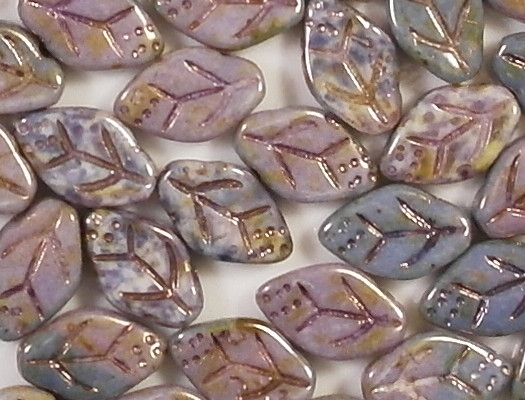 I think the beads are very attractive and sophisticated.